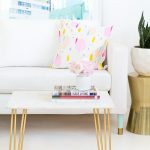 Marble runs a really close second (to all things gold) in my list of home decor obsessions. The sad part about it is that it’s about as expensive to come by as gold is, plus I can’t exactly carve it myself, though that would make me one killer DIY’er if I could. 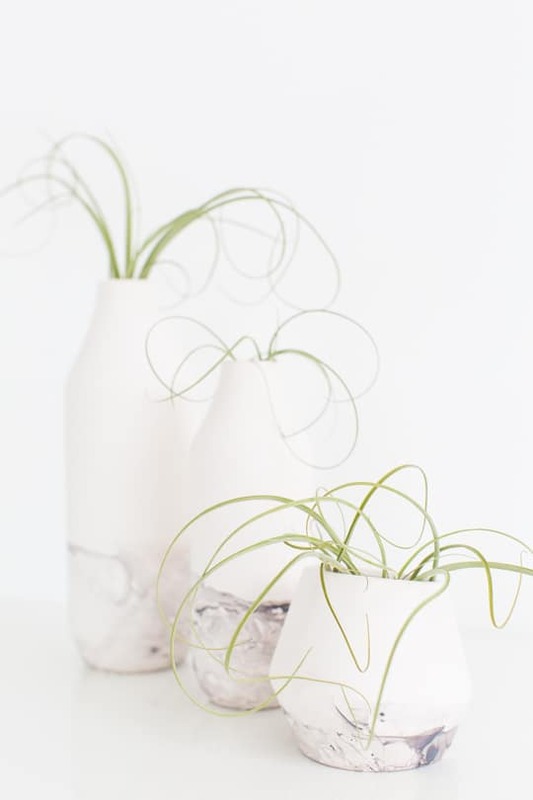 Instead, I stick with the nail polish budget version (literally), and make my own DIY marble dipped vessels. 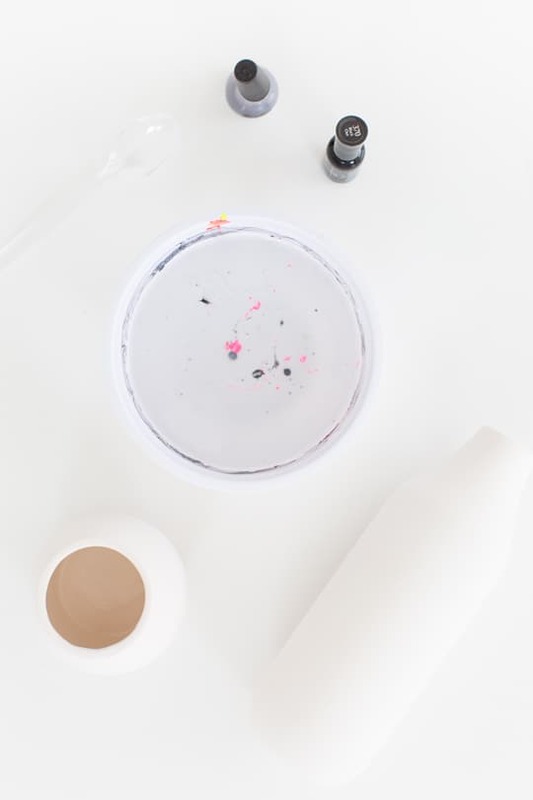 I thought about using marbled shelf liner paper for this project but I wanted to be able to get a sleek, seamless look, so I created my own color recipe to make a real faux marble pattern with polishes! 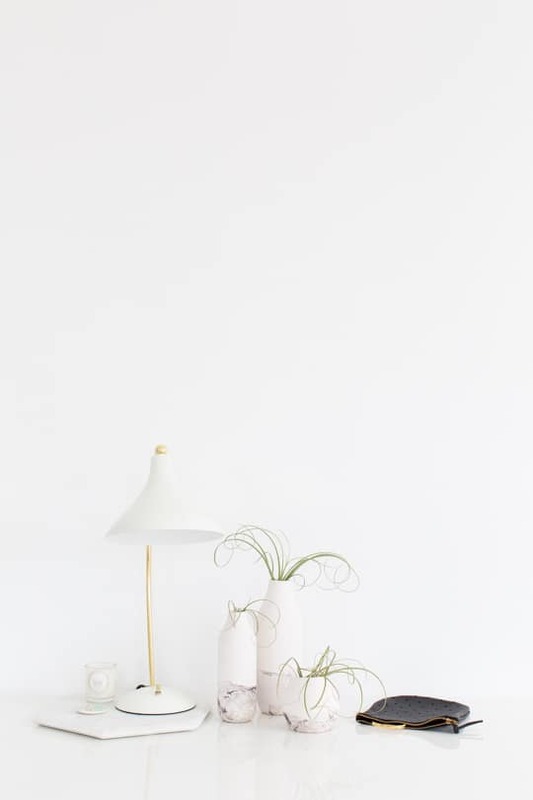 A lot of people have done similar projects with the bright, neon colors, but I feel like you can’t go wrong with mixing a bit of traditional marble in with your decor, no? 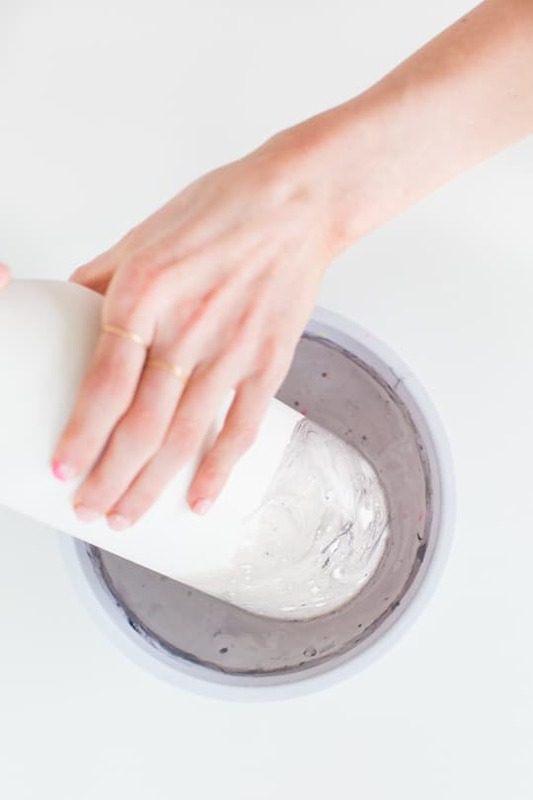 This entire process is super simple, you just have to keep in mind to move quickly, because the nail polish will start to dry in the water and it won’t stick to your vessel evenly like you’re looking for with marble. Essentially it will leave weird bubbles and funky overlap where you don’t want it, so you can practice on cheap plastic cups first to get a feel for it! To get the right color consistency, I used three parts grey nail polish (about three drops of polish), to one part black polish (one drop), then quickly gave it a stir with the end of a plastic utensil, and dipped the vessel in at about a 45 degree angle, making a twisting motion with my hand so that it swirled all the around the vase. 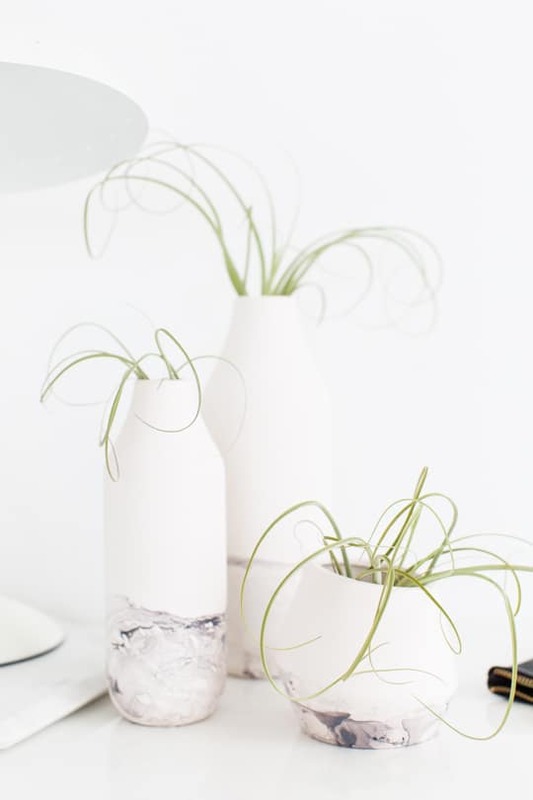 Let it set by flipping the vessel upside down until it’s dry to the touch. 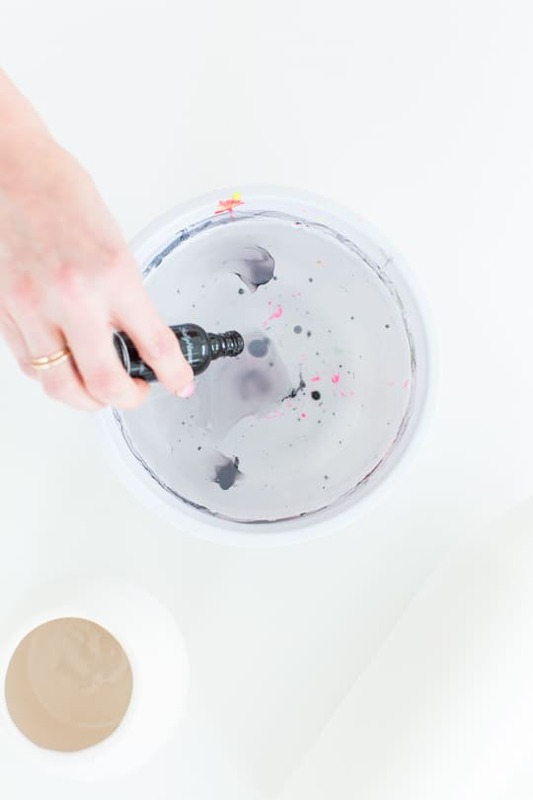 You’ll have to repeat this process one by one for each vessel, and you can remove any excess dried nail polish in between coats by swirling the plastic utensil around the bowl to scoop the bad part out. 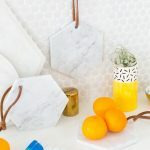 DIY Hanging Marble Serving Board for Under $5! Love it! 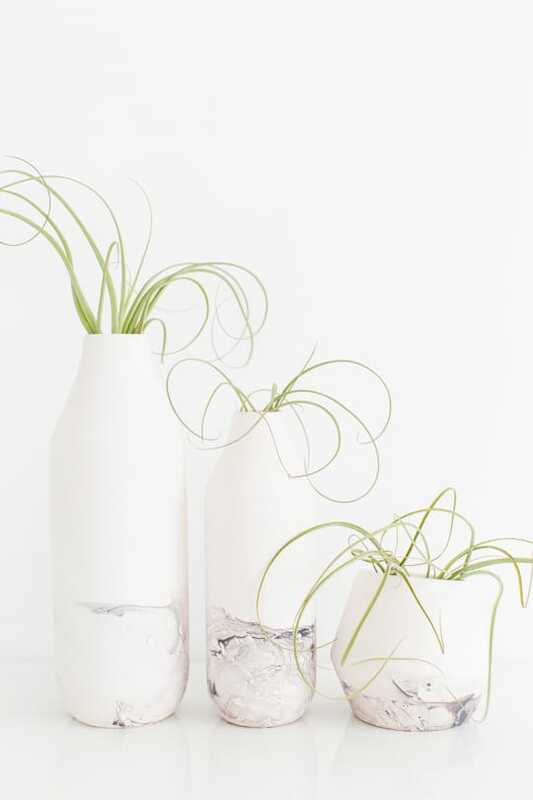 Any recommendations for where to buy cheap air plants to put inside? #marbleeverything and now i can purge all that unused nail polish!! I LOVE this! 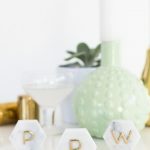 I am obsessed with all marble home decor and this is the perfect DIY! 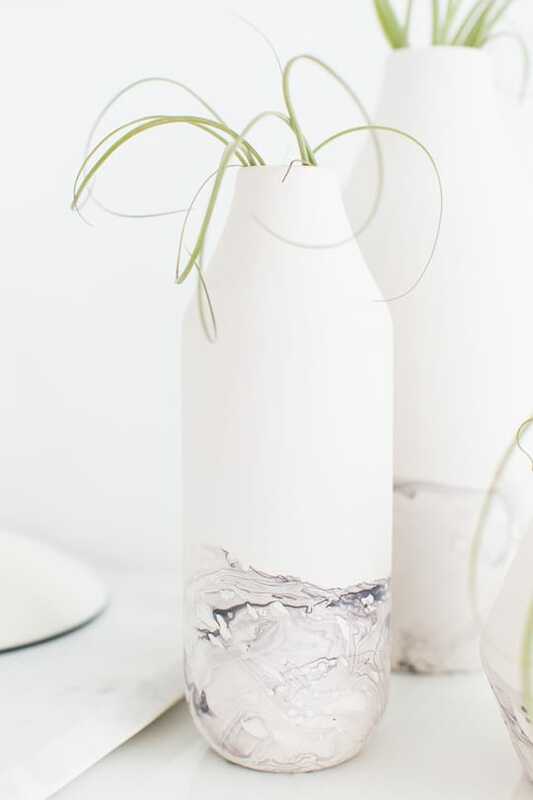 This is such an easy thing to do, and it give those bottles such an amazing look! 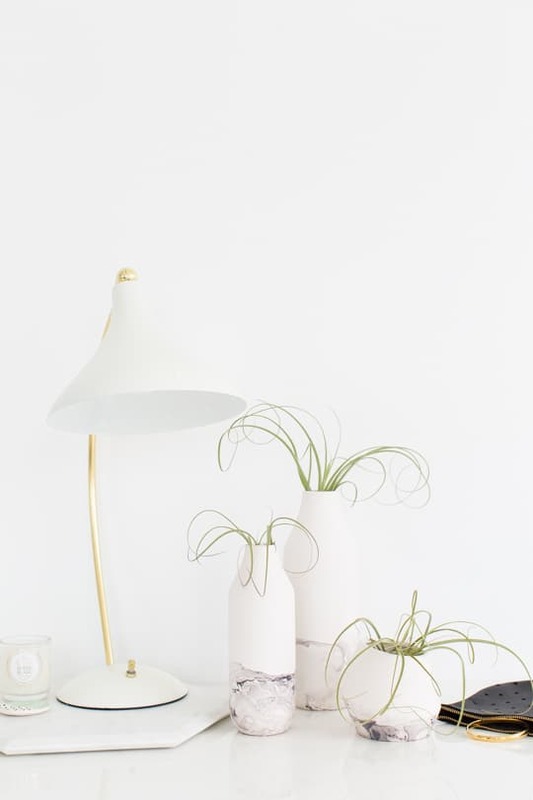 This DIY project is so cool! 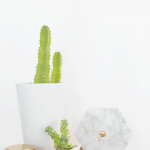 I love marble pieces but, as you said, they tend to be very pricey. I’m definitely going to be trying out this technique! oh! so fancy! I love how these turned out! I love marble so much too, I even dressed my son in a marble shirt today lol. thank you Gap! BEAUTIFUL!! These look so classy and elegant :) Thanks for sharing! These are SO pretty! I love that you went the understated route, too. My mind is blown that nail polish can create something so lovely!! This is very gorgeous and looks so elegant! I wonder if I can do the same with plates/bowls so I can get that marbelized look for macaron photos. Love your ideas and art work! Wow, this marble effect looks really awesome! Can’t wait to try it. Your DIY tutorials are always so on point! This diy is amazing ! the effect looks so good, i’ll do it for sure ! you can definitely paint it first! do you think i could do this on wood? Hi Kait – We’ve never marbled wood, so I’m not quite sure! 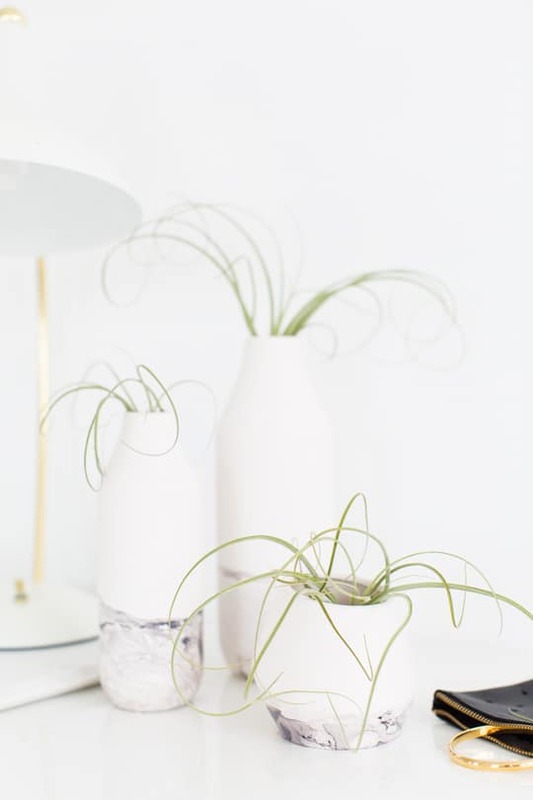 These vessels were super easy to DIY, so I recommend them most highly. How long do you let it dry before you use them? I want to make a marble pattern on a piece of acrylic plexi glass I bought for a wedding sign. Any tips? ?